By Kathleen Peddicord | U.S.News & World Report LP – Fri, Oct 5, 2012 4:24 PM EDT . Yahoo! Finance/Thinkstock - Cuenca is located high in the Andes, at 8,200 feet above sea level (2,500 meters). Thanks to its elevation, it offers spring-like weather year-round. The most compelling reason to think about retiring overseas is the cost of living. Whatever your budget for retirement, it will stretch much further in many places around the world than it will in the U.S. If your retirement budget is very small, retiring overseas can be the secret to shifting your retirement from a cause for worry to an exciting adventure. When considering the world's best options for where to retire well on a very limited retirement budget, two cities jump out immediately: Cuenca, Ecuador, and Granada, Nicaragua. Both Cuenca and Granada are beautiful and authentic Spanish colonial cities, founded in the 1500s. In both cases the cost of living is about as low as you'll find anywhere. You can get by frugally on much less than $1,200 per month. In fact, it's possible to live in both of these interesting cities on a budget of as little as $800 or $900 per month. For a more comfortable lifestyle by North American standards, estimate around $1,500 a month or so. 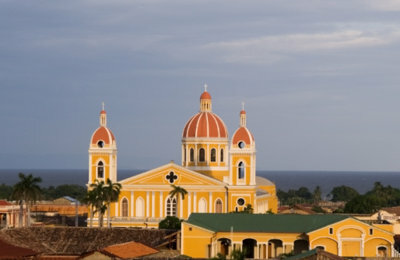 Granada, Nicaragua (Thinkstock)Real estate in both cities is well under the magic $1,000 per square meter mark, putting both these cities in "bargain basement" territory if you're interested in purchasing your own retirement residence. Real estate transaction costs in both places are low, as well. Both cities are in third world countries, meaning a lifestyle with all the attendant institutional inefficiencies, corruption, and less-than-perfect infrastructure. On the other hand, living in either Nicaragua or Ecuador, you'd also enjoy low levels of government intrusion, low taxes, and few rules and regulations. Both Cuenca and Granada are home to sizeable, thriving expat communities of North Americans. The expat-retiree community is bigger in Cuenca than in smaller Granada, but the ratio of expats to locals is about the same in both cities. And residency is easy to establish in both countries, with low income and investment requirements. Access to the U.S. is relatively easy from both places, and both cities offer good connections to U.S. hubs. 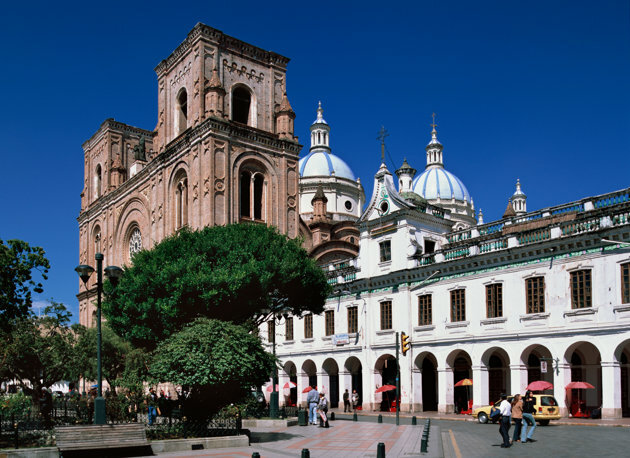 Cuenca has an international airport conveniently located right in town, but virtually all flights to the U.S. connect through Quito or Guayaquil, making the total flight time to Miami about four hours. Granada is served by the Managua airport, about one hour away. Flight time from Managua to Miami is about two hours. However, in some ways, these affordable retirement locales are also very different. Cuenca, a big city of more than 400,000 people, has more than four times the population of Granada. Cuenca has the edge for big city amenities including theater, nightlife, and restaurants. It also has a new, upscale shopping mall and many options for modern health care facilities. Granada, by comparison, is more of a small town. The community here, including the expat community, is close-knit. Everyone seems to know everyone. Cuenca is located high in the Andes, at 8,200 feet above sea level (2,500 meters). Thanks to its elevation, it offers spring-like weather year-round, with highs rarely above the mid-70s and little seasonal variation. Granada, on the other hand, is at sea level, meaning it's warm all the time, with highs in the 80s to low 90s year-round. Granada is on the shores of one of the world's largest lakes, with swimming and boating opportunities close at hand. It's even possible to purchase your own private lake island. Nicaragua's beautiful Pacific beaches are less than two hours away. In Cuenca, the nearest beaches are almost three hours away, in Machala, and the nearest nice beach is more than four hours away, in Playas or Salinas. Shopping for real estate in both of these cities is a straightforward process and even a pleasure. There's lots of interesting and appealing inventory available at reasonable prices. Granada, however, is the better choice if you're interested in acquiring a traditional Spanish colonial-style home. A great number of these are available for low and negotiable prices in the wake of the downturn this country's property market has experienced over the past few years. Granada's Spanish colonial houses feature center courtyards that are typically open-air and often contain swimming pools. These houses also tend to be fairly small, making them ideal for a couple of retirees or a small family. Cuenca has colonials, too, but they tend to be larger and expensive. Many are old homes built for large families, 700 square meters or larger, and more than the typical retired couple needs or wants. On the other hand, Cuenca offers a much greater selection of new-construction properties. This city boasts a huge selection of modern condos at reasonable prices. Retired here, you could enjoy the old world character of the historic center, but live in a modern house or condo in first world comfort as near as a few blocks away.